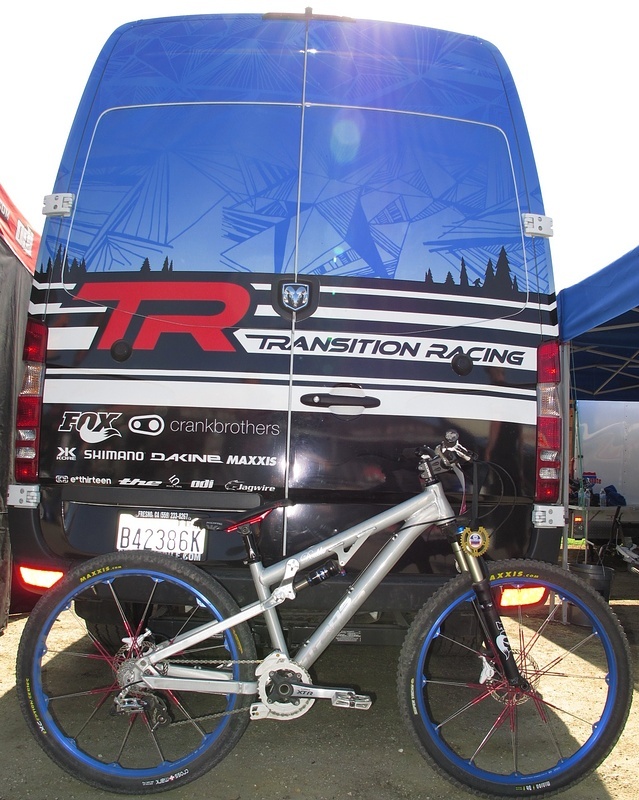 Transition Bikes is located in Ferndale, Washington and is a rider built brand through and through. 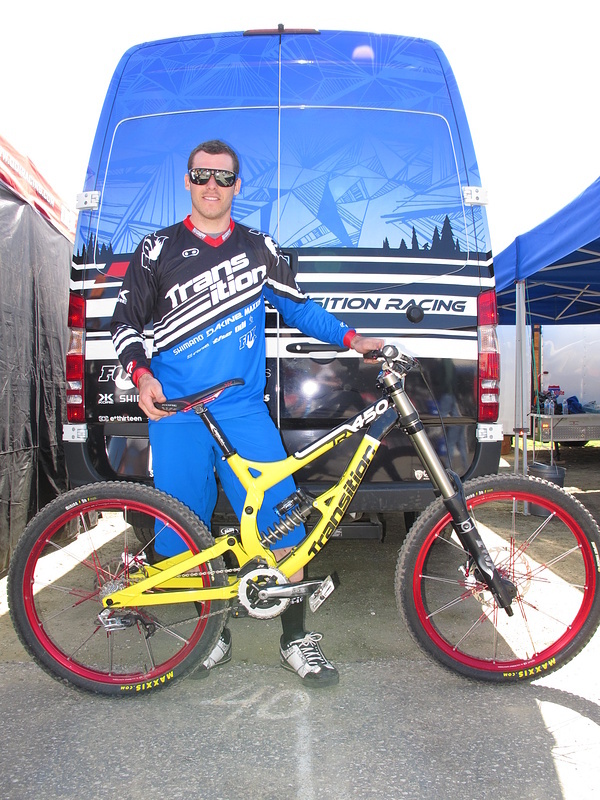 For 2010 they have really taken a big step into the scene of gravity racing with their new DH team (Lars Sternberg, Bryn Atkinson and Jill Kintner) and the introduction of the TR450, as well as the refined Double and Bank models. 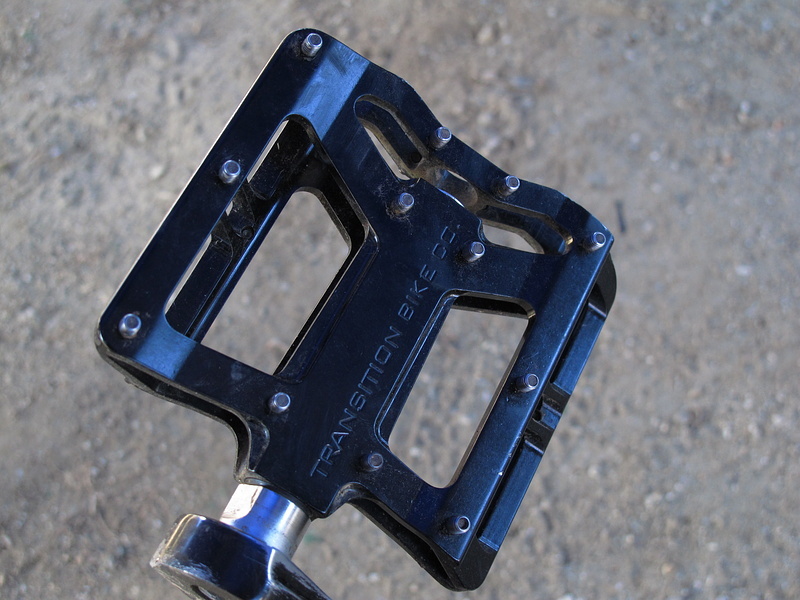 Details and pics inside,I think that it would have been impossible to have left the Sea Otter and not have covered the newest Transition offerings. Ok maybe that was because they all have my cell number and made sure to make it known that Kevin was looking for me. Kevin and I were able to find some shade and really go over the changes to the Bank hard tail, the fully retooled Double, subtle changes to the Covert and we even woke Bryn up for a picture too. The original Double has a lot of friends in the Slope Style world and our own Casey Groves has been throwing down on his for a few years now. Like all good machines, times change and things need to be updated and revamped, enter the new Double. -The new tapered head tube is joined with an all new proprietary tube set that is internally reinforced and has no need for external gussets. This tube set can also be found on the Bank hard tail. 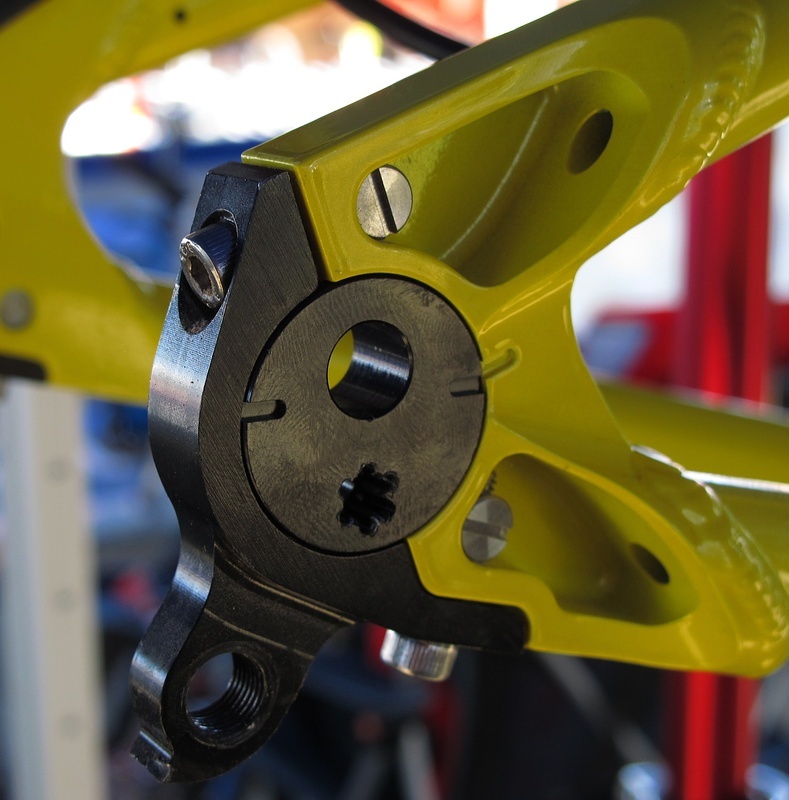 -All sharp/square edges have been machined away from areas like the shock mount link. Bearing caps have received some extra love aesthetically too. -The new Double has two travel settings in the rear that can be adjusted via their "Potato Chip". Initially calling the "Chip" something else, Transition was approached and told that the word they were using was actually copy written and that they could not use it. Having a good sense of humor for the bike industry's on going patent and copy write woes, they came up with the "Potato Chip". The two settings are Salted (100mm) and Unsalted (80mm), so you should be able to dial in your preferred set up. 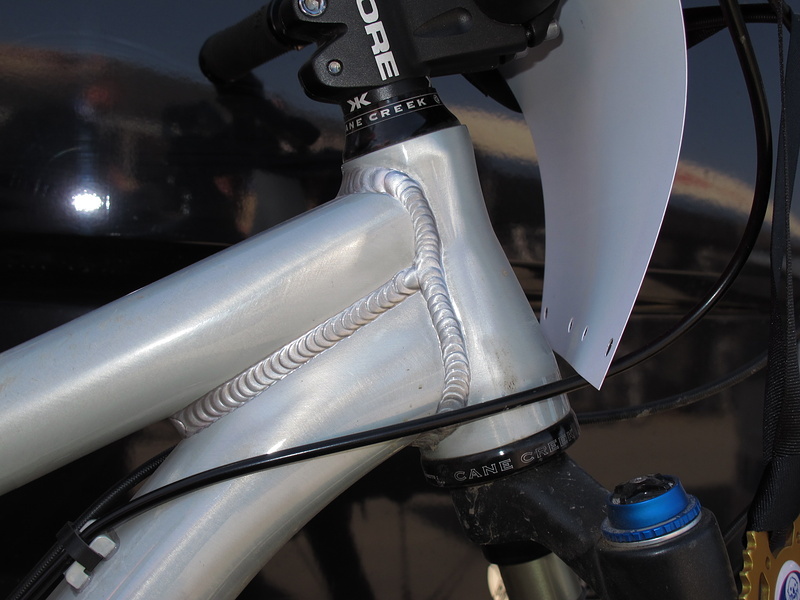 -The rear derailleur cable has internal routing options through the chainstay like the TR450 now too. 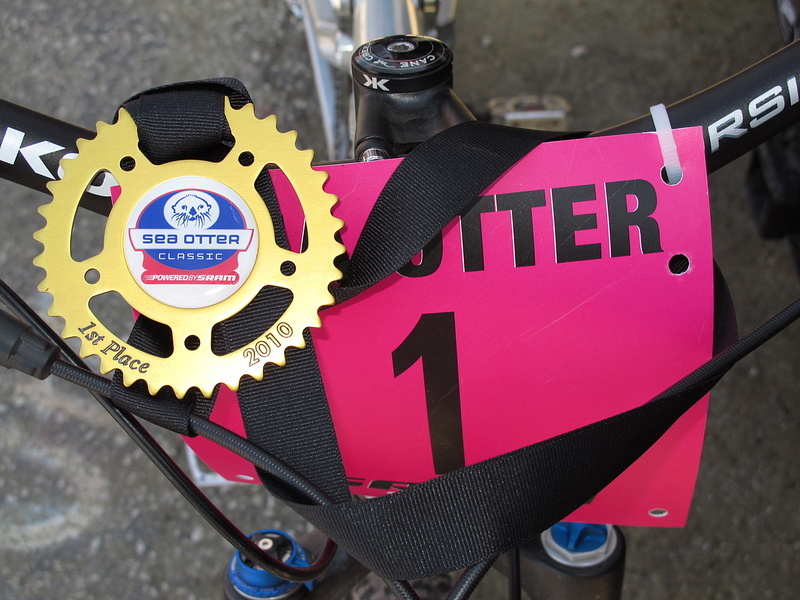 -Jill Kintner won the Pro Women Dual Slalom at this year's Sea Otter Classic on her new Double. 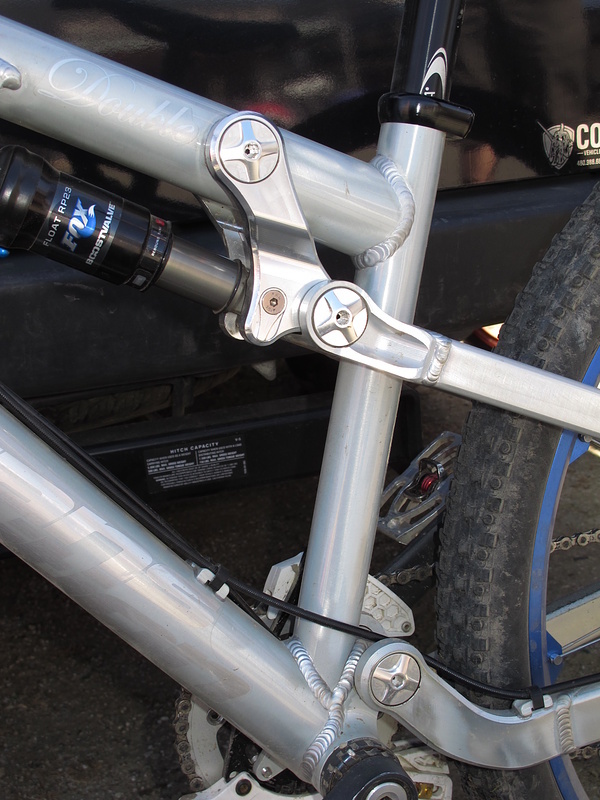 Here are more details on the new Double that were released just prior to the Sea Otter. 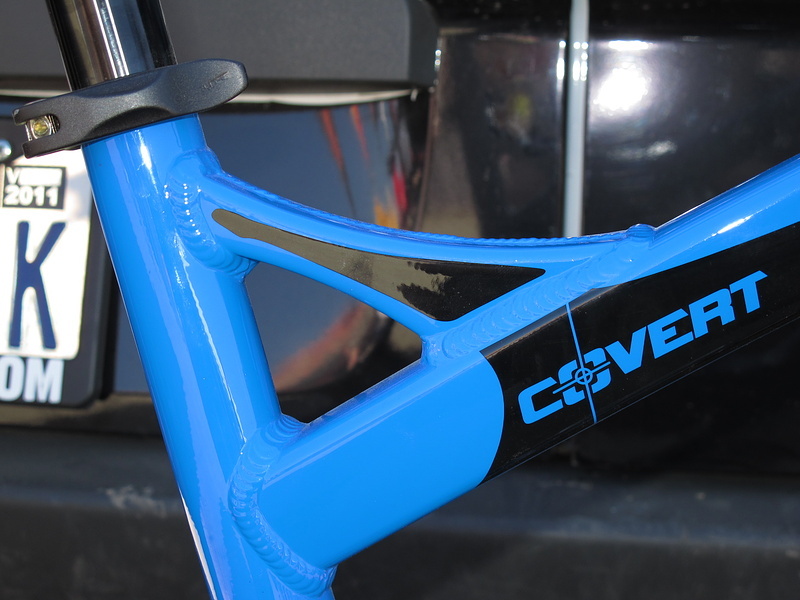 The Covert is Transition's AM bike offering and after a very successful year, it remains unchanged besides graphically for this season. You'll still find the tapered head tube, 160mm of rear travel and ISCG tabs. New colorways are White, Red and Blue. Check out our long term test on the Covert from last season. The Bank has seen some retooling since its first introduction and now shares the same front end tube set as the Double with its tapered head tube and internally gusseted top and down tubes. The drop out system is what really set the Bank apart from other hard tails in this class. The ease of wheel tension adjustment is stupid easy and has been made even easier on this newest Bank. 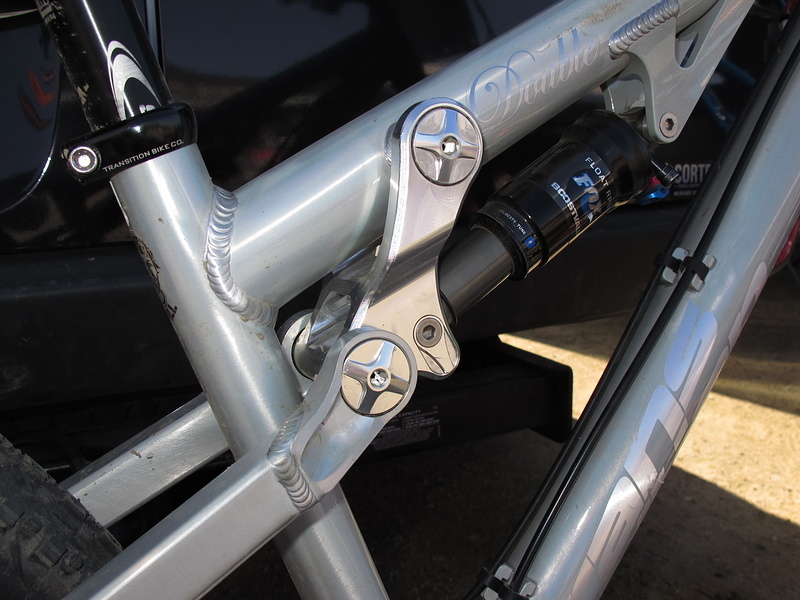 The bottom bracket and ISCG tabs are all made from one piece of aluminum for strength and precision. 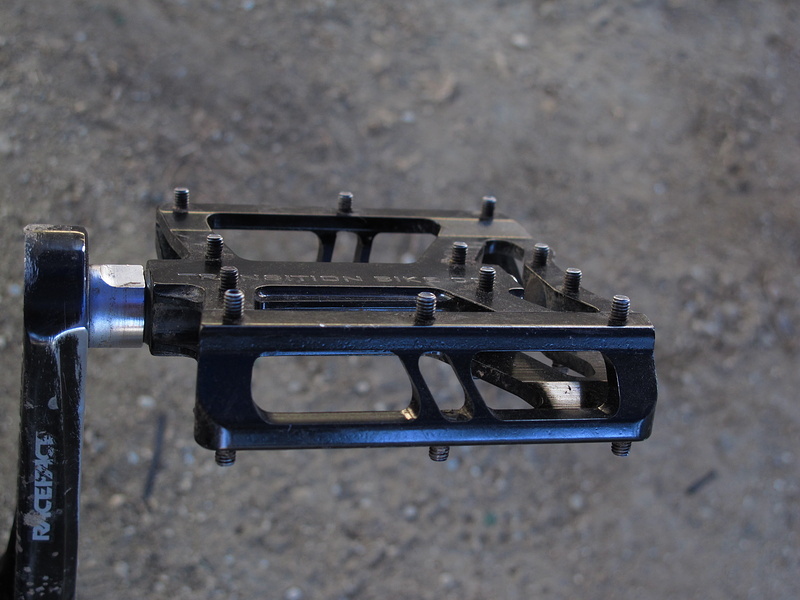 Kevin also had a new pedal to check out that was mounted up to Kyle's bike. Not a lot of details on them at this time, so enjoy the pics. Just before I left, Bryn was getting up from a nap and I got him to give us a posse with his all new TR450. so hope the bottle rocket gets the same updates!! yes! I have a 2009 one, it is amazing! transition has been legit for years..
i did notice something weird tho. look at a picture of the new bank on transitions site, and notice a difference between these pictures, and those. 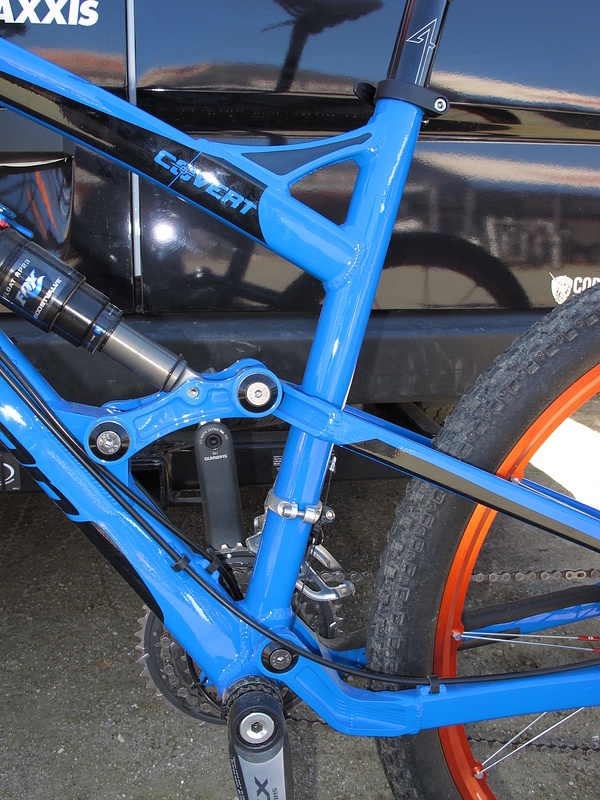 (the rear chain/seat stays are different where the C.R.A.P setup is mounted.) strange. DHbyker12 - the team's Bank frames are slighly different than the production models. The dropout piece is the most substantial difference. seriously, I know that Transition is working their way up the ladder but I can't believe they're not already bigger than they are. their bikes are SOLID 100%. you can trash these bikes all you want and they still feel smooth as silk. I agree! Solid trusty very strong bikes that keep asking for more! 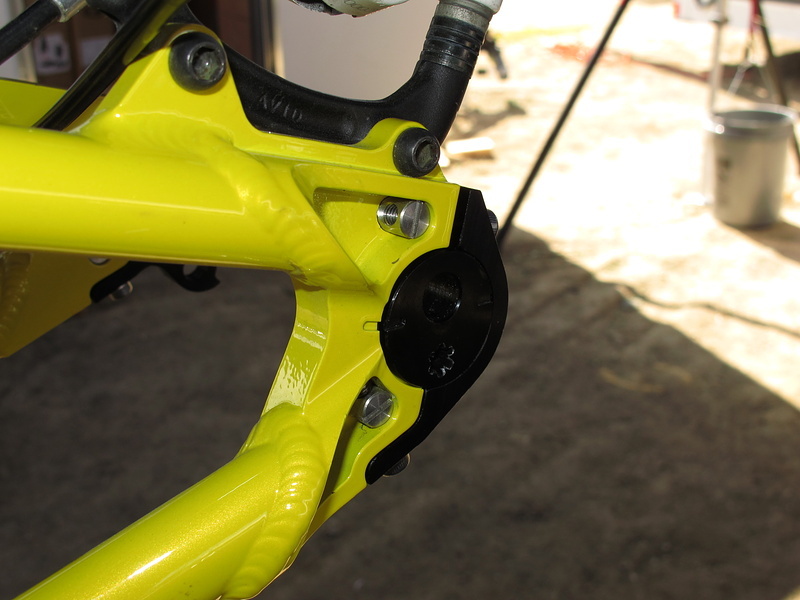 1) it seems to me like those dropouts would be soo noisy after they get just a little bit of dirt in them. 2)seems like it would take for ever to get the rear wheel off since you have to take off the 4 bolts? and what happens if you lose one of those little silver barrels where the dropout gets bolted together? are you S.O.L. or are they the same size as the ones in quickreleases? 3) WHY TORX ON THE DROPOUT! i hate torx. the frame looks almost brandnew and the torx is already showing signs of screwing you over. Torx was made to be stronger than a philips screw, not a hexhead. 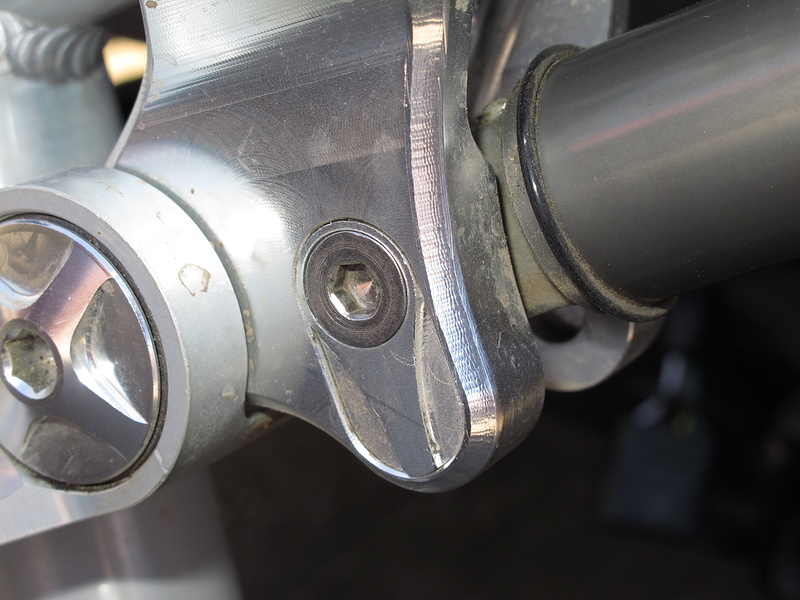 torx is only ok(still iffy) if you have a steel bolt. if aluminum is soft why do you want to put all the torque force on 6 little "fingers" compared to 6 "walls"? The CRAP system has tradeoffs yes, but... But the Transition wheelsets use an oversize QR skewer that functions like a 10mm Thru Axle. That wheelset and any other 10mm thru axle style hub allow you to remove the wheel and not lose your geo adjustment or chain tension (singlespeed) setup. With a traditional QR, taking the rear wheel off does take a little extra work. With the right wheel setup, it is actually easier for singlespeed guys to remove the wheel, because you don't lose the adjustment. The Torx spot you speak of in the insert actually fits a 5mm allen wrench. It just looks like Torx because that is the cheapest way for the factory to fabricate the wrench fitting. You only use that wrench to set your wheel position or chain tension, no real torque is actually applied to the black disc. The steel screws are what actually get tightened. Just bought the new Covert 6" travel do everything bike. Their attention to detail, customer service and overall enthusiasm for the sport is top notch. Looking to sell my '08 Bottlerocket as the Covert is my bike of choice at the moment. 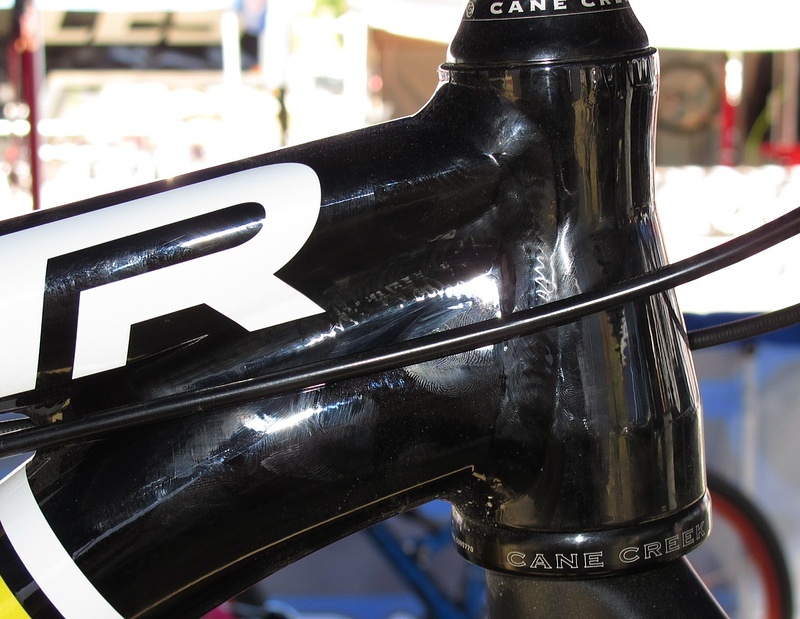 What's up with all the tapered headtubes, why not just use 1.5"? 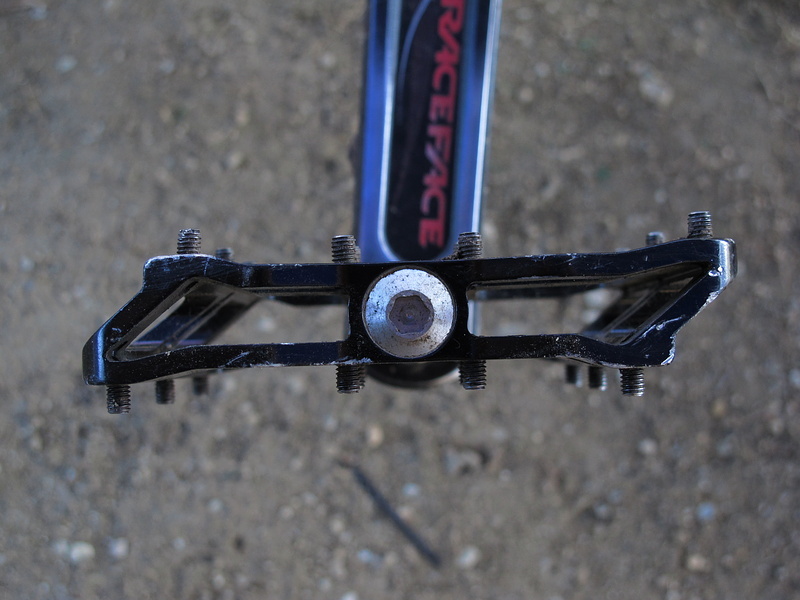 because fox is discontinuing 1.5" steerer and you can't alienate a big player. there you have it. Most people that have a 1.5" headtube are running reducers. Having a 1.5" headtube doesn't alienate anybody. watch how many frames go from 1.5 to tapered. you'll find that it will coincide with fox's decision. 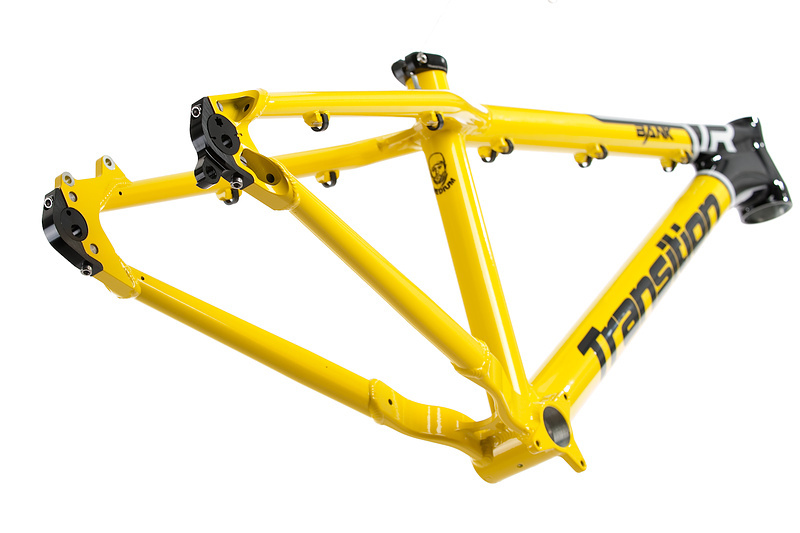 transition has become such a good company in mountainbike and it has its place and they made their name in the industry ! i remember watching the evolution of these bikes on pinkbike not so long ago ! wow good job transition ! 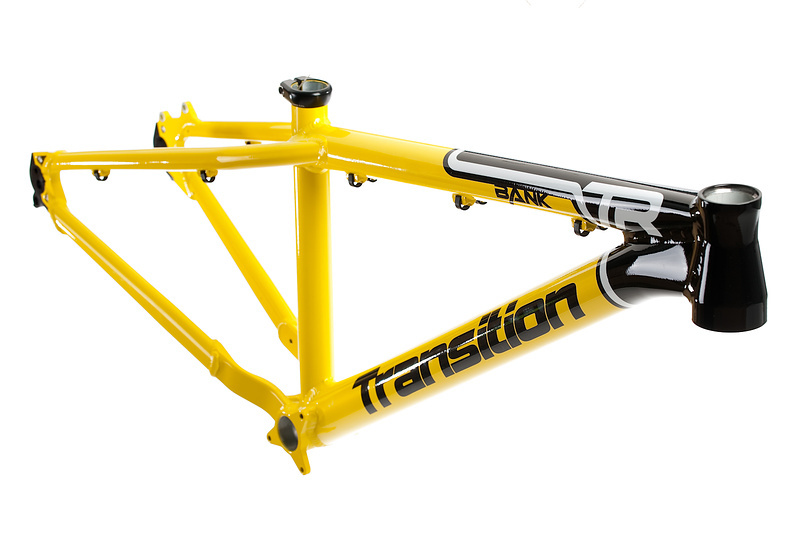 As far as Taiwanese catalogue bikes go, that are simple welded-tube type designs, Transition do look the best. Nice details and paint colours. But they're not cheaper than the higher-tech hydroformed bikes, so I don't see the attraction? WAY more solid. More welding space, lower stack height, lighter headset, lighter front end. MANY reason why it's a good thing that it comes on bikes now. not here to debate aesthetics but, the only people that prefer a traditional headset is ChrisKing. the only reason chris king doesnt like an internal headset is that the frame manufactures tolerances in the machining of the head tube and headset cups may not be up to chrisking's standards. internal headsets are awesome and the only reason every bike company nowadays doesnt have an internal headset is that they are more expensive than a traditional headtube (especially a tapered headtube). chrisking is now making headsets for internals now called the Inset. so there is a huge differance. if you hunt on the chrisking website it will explain it further. 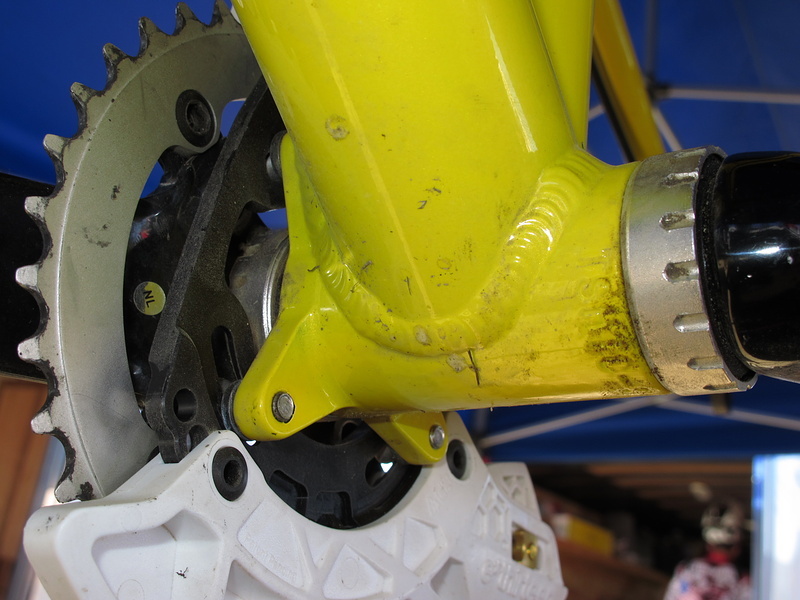 The top bearing on the Bank, Double, Covert and TR450 are integrated not internal. Nothing to press in, just a drop in bearing. 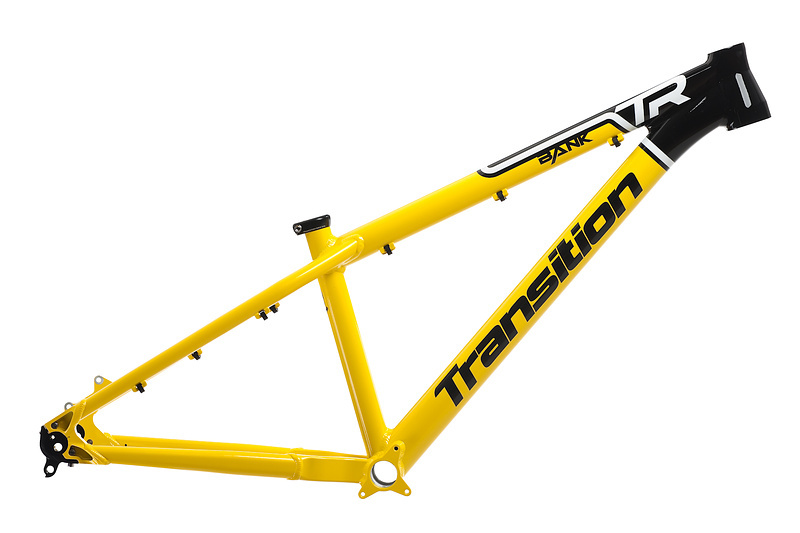 Full integration, less weight and fewer pieces between your frame and the steerer tube. 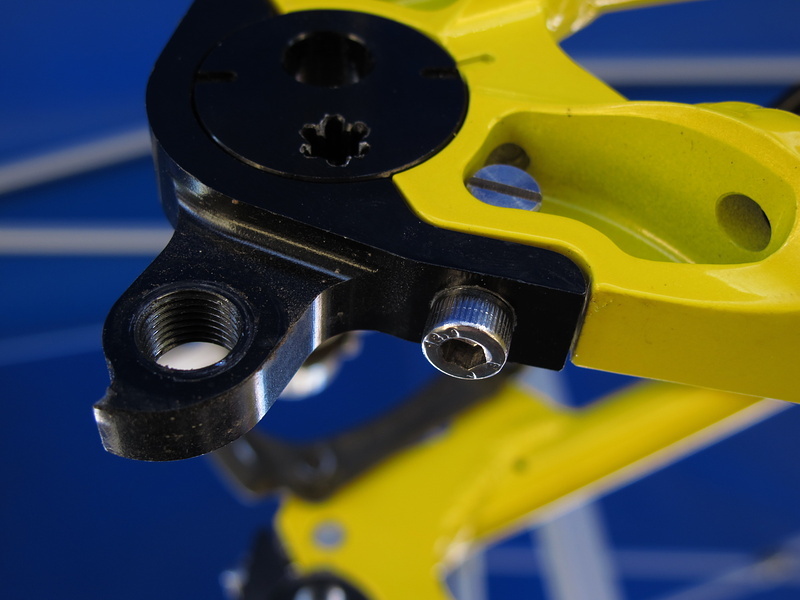 Integrated is the best for stiffness saving weight. Glad to see TR using system integration now. I love companies simplifying design anywhere possible. 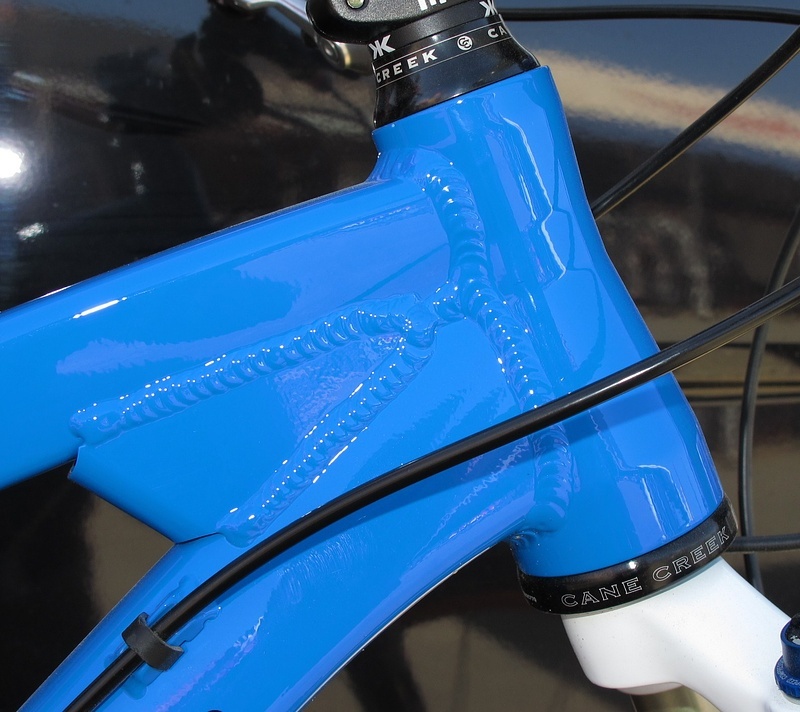 Cannondale is using it in bottom brackets too. They call it BB30. Its sick. 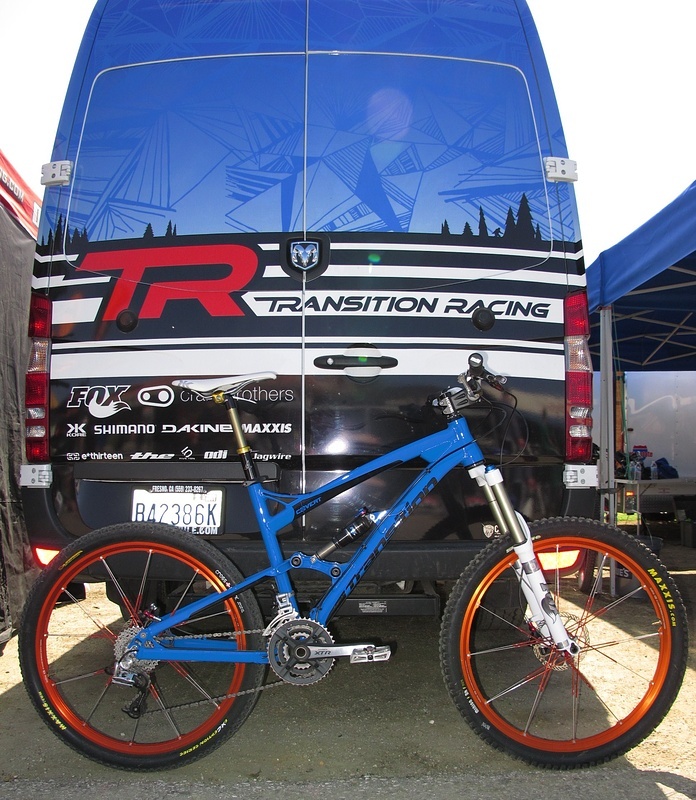 These bikes are all dialed! Actually shimano started the whole BB30. Cannondale is one of the company that has started using it. Pivit are another one. It's a cool thing but not something for every discipline. Xc won't be a problem. I have always tought it was shimano who started this whole thing. Sam-B is right. Cannondale actually put BB30 in all their bikes this year including mountain. Super cool inovation. Yeah, check their site. Red (Opium) wheels are DH/FR. They have XC, AM, and FR all in different colours. you gotta love transition. go bottlerocket! It is early in the season and not all teams have all their sponsor products, so sometimes you have to ride what you got. As more companies get involved with racing, the bigger the sport becomes so keep it up, and ncie bikes...woah! transition rocked my world when i saw bottlerocket on youtube for the first time. thumbs up for transition. there all stunning, love Transition!